It’s hard to imagine spending five weeks in bed, let alone five years. But in 1657, when Marguerite Marie Alacoque was 10 years old, she became very ill with a disease that left her paralyzed. So for five years she stayed in bed—long before television or video games could provide amusement. So what did she do? She prayed. During those years of illness in her village in France, the young woman offered her suffering to God and spent the time reflecting on her faith. 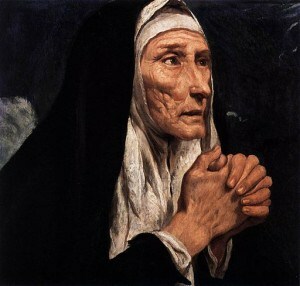 She promised the Blessed Mother that if she ever regained her health, she would become a nun. Her health improved. Despite her family’s pleas, she refused to be married and entered the Visitation convent. Marguerite, or Margaret, as she is sometimes called, is referred to as a mystic, a person with a special spiritual communication with God. Jesus told her that he wanted devotion to the Sacred Heart to be increased. Some people, including some of the other nuns, did not believe that she had visions of Jesus, but one priest who heard confessions for the nuns did. Eventually, a chapel devoted to Jesus’ Sacred Heart was built at the convent, and soon other Visitation convents also began the devotion. Marguerite Marie died in 1690 and was canonized in 1920 by Pope Benedict XV.